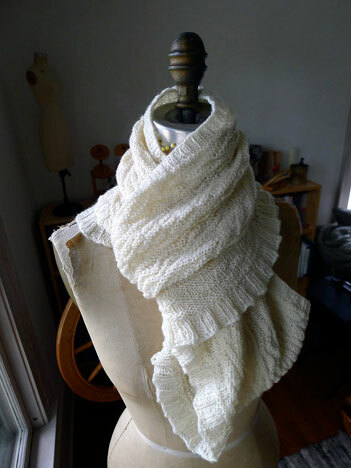 just after mother’s day last year, we released the may projects for our bare naked knitspot club that featured a new yarn we were offering, spun from pure cheviot wool raised in upstate new york. we named the yarn ghillie sock because the cheviot fiber from which it is spun has a curious set of characteristics that together, make it wear like iron. 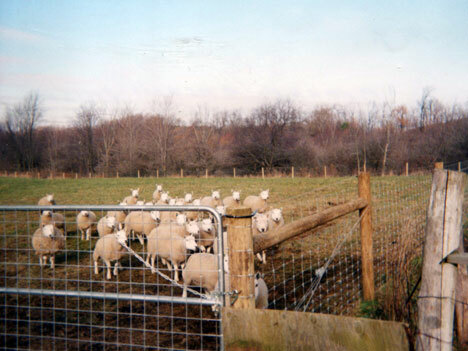 in fact it has, over the course of its history, become the fiber of choice for knitting traditional kilt hose. my mind seized on the opportunity to work this yarn into a wonderfully warm and lively pair of long hose—not quite kilt hose with their heavy cuffs, but styled more along the lines of a hard wearing gansey sweater. just as i would in a gansey sweater, i used gussets to shape the leg and a series of of fun-to-work knit/purl motifs for texture, taking advantage of the wonderful springiness, stitch definition, and sheen that cheviot wool offers. the pattern for hornpipe gansey offers both a tall stocking as shown here and a shorter boot sock length, which includes all of the same textures without the gusset shaping for a mid-calf height sock. 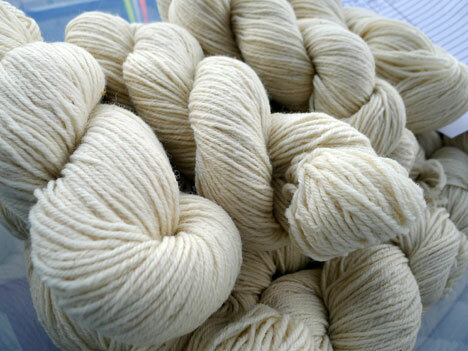 and we decided to carry two put-ups of ghillie sock—a traditional four ounce skein of 450 yards for regular sized socks or accessories and a convenient “big skein” that weighs one-third of a pound with 600 yards to knit long hose, as well as small shawls and big cowls. the sock design came first and as i swatched and experimented with the cheviot wool—a fiber new to me—i learned a lot more about its behavior and unique character. 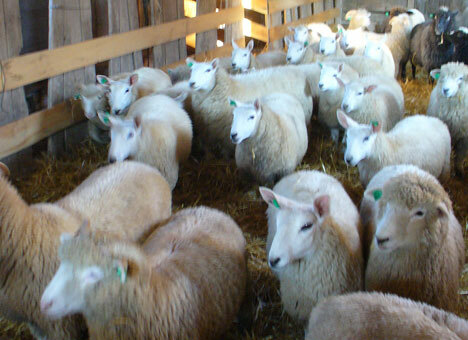 being a product of heritage longwool breeds, i expected a sturdy personality, but was charmed by its ability to be playfully light and springy as well. and after several washings in hot soapy water it changed yet again, blooming into a surprising soft, dense, and cohesive fabric. 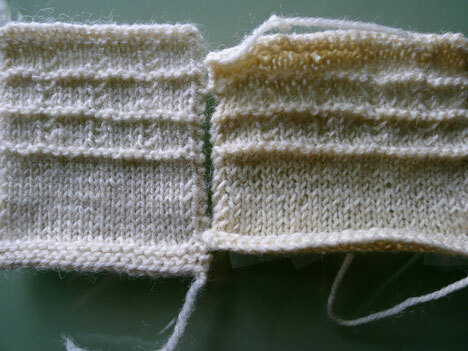 above, the unwashed swatch on the right and the washed swatch on the left; amazing transformation, isn’t it? 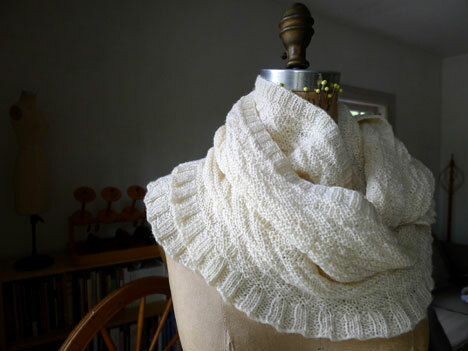 i began to wonder about making other types of projects with it, to put it through its full paces—would it drape beautifully in a shawl or cowl? and not only did it drape in beautiful folds with a soft sheen, but had just the right amount of body to make the cutest ruffles. 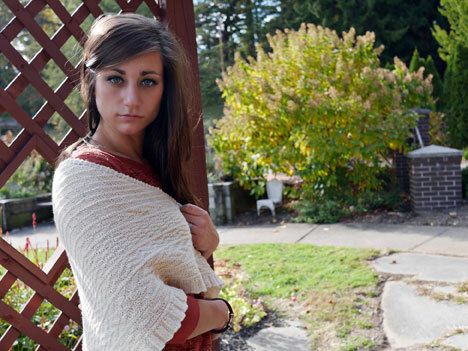 and so we had ourselves a shawl project that month as well—cheviot hills. the squeals of delight over that hem ruffle could be heard all over the internet on the afternoon of may 17th, haha; very much worth the wait. 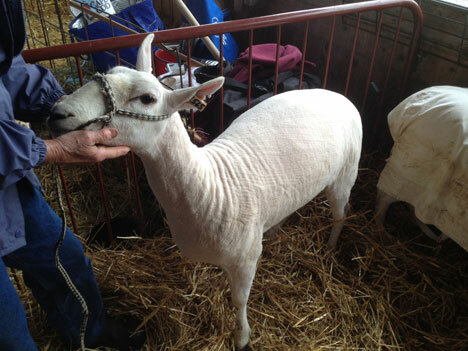 and even more delicious was the fact that the generous petite size could be knit from a single big skein of ghillie. 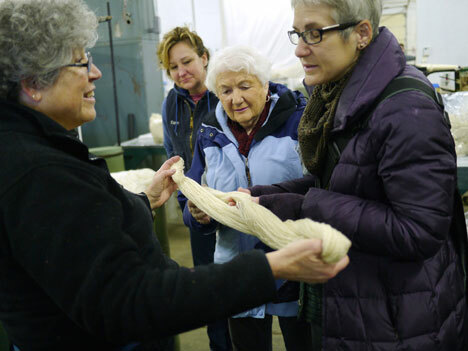 the yarn was totally inspiring; i could have gone on and on if i didn’t have to move along to the next club offering! that said, our clubbies thought up numerous other applications from shawls to socks to fingerless mitts. 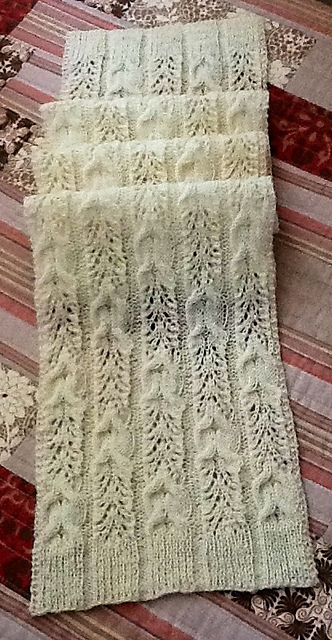 our good friend judi knit one of my favorites when she used ghillie for her wheaten scarf; i just love how translucent and light it looks here. and jessica knit this gorgeous sample of cluaranach from ghillie sock for us to use as a booth sample in our popup shops (two coming up in the next couple of weeks; click here for details). 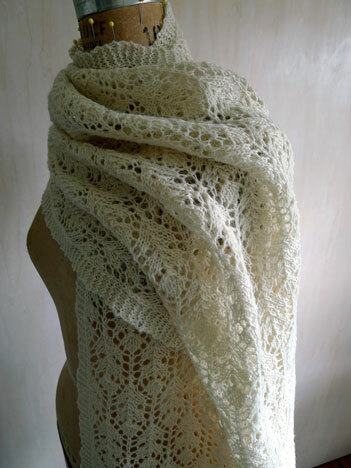 just look at the way light glows throughout that fiber and the sheen accents each fold and textured stitch—spectacular! i just wish you could feel how soft and light it is as well. this fabric has a bit of cling to it too, which helps a light scarf or stole stay put on one’s shoulders—a sweet little extra. after i finished knitting my triangle shawl i wasn’t feeling quite done and, never one to leave an idea hanging, at the last minute i decided that a big cowl would be awesome, to pile up around one’s neck and shoulders. and so scottish reel was born, and went on to become one of our most popular patterns, paired with the big skein of ghillie sock. 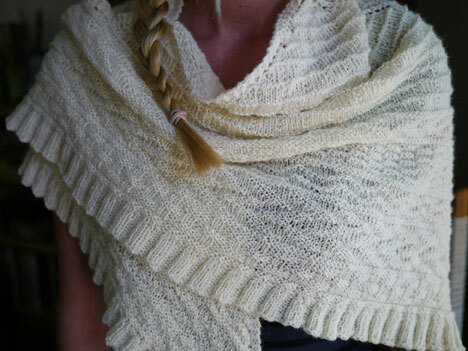 perpetual KALs for all of these projects and other club favorites are running live at all times in our swinging BNK clubhouse on ravelry—don’t be shy; you needn’t be club a member to join in the fun (but we hope you’ll consider it at some point!). 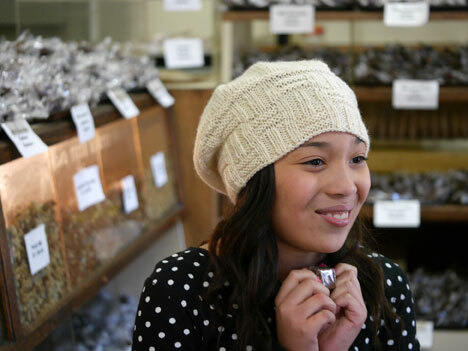 did you know that we even produced a DK/light worsted ghillie? this version with the same smooth, three-ply construction is terrific for fisherman knits and other types of garments, hats, mittens, and thick boot socks. 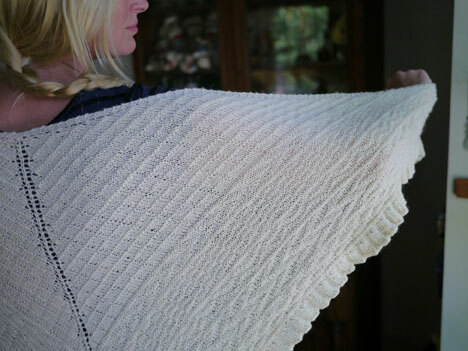 resistant to pilling and other wear, it is a good choice for an heirloom blanket or a lifelong sweater. 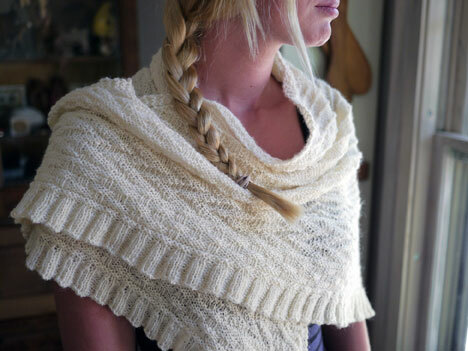 with this fiber’s versatility, there’s no worry about how to put an extra skein to use. the story of the yarn and the designs i paired with it made up one of the biggest and best chapters of our BNK eBook series that we ever published—along with tons of historical and technical information about the fiber, we had terrific photos from both the mill and from our collaborating farmer, ben woods. 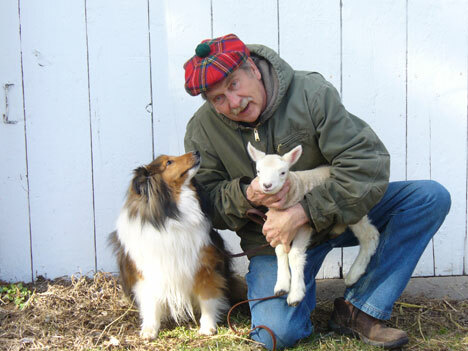 i think this is my favorite ever farm photo—just look at the love in that dog’s eyes. along with a second film featuring our delightful friend helena performing a hornpipe jig in the knee socks so you can see them in action. 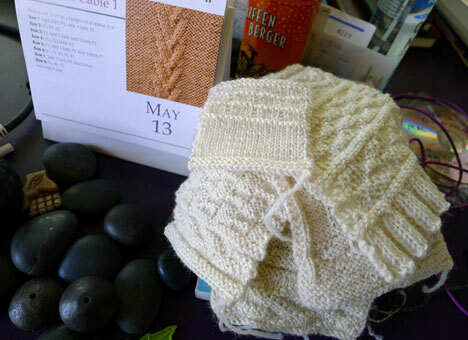 wow, looking back on all of these wonderful experiences today makes me want to sit down and make another one of those cheviot hills triangles or a big scottish reel—because, as if all this cool information and photos weren’t enough—both projects are super fun to knit! too bad we don’t have audiobook versions of the eBook; i’d settle in and have a listen, too. not to mention the fact that the changeable weather this month makes it all the more desirable to have one of these on hand for chilly morning commutes. or to avoid the chill of an over-air-conditioned office as spring turns to summer. the color and look of each is summery, but feels so cozy when you need it. actually, we really could use sample cowl for our booth, since we also sell a very popular kit for scottish reel—a good way to save a few dollars on buying yarn and pattern together. sigh! 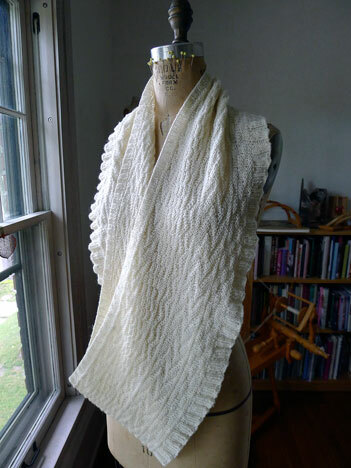 it’s so much fun to revisit some of the wonderful past projects from our knitting club and view the speeded up version of what amounts to months of background footwork and research on each installment. of course it’s work that we love and feel honored to do—i hope that is conveyed in each chapter we produce. to close, a happy mother’s day to each and every one who has cause to celebrate it and to the rest of us, a wonderful day to remember our own mothers and mother figures. happy knitting! ps: still time to take advantage of our mother’s day promotion—$5 off a passion club membership by using the code shown in the masthead at the top of the blog; click the MOM graphic for more details or to sign up! 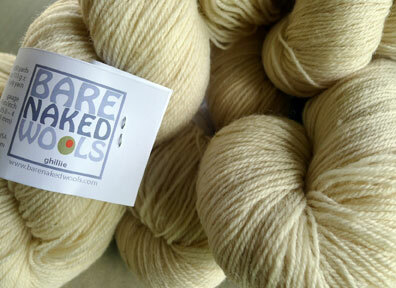 I have yet to try this yarn, but all those photos are seriously tempting me! 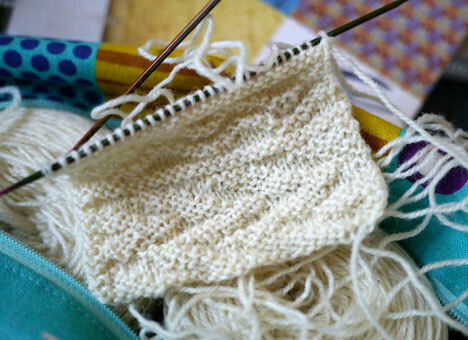 Katharine has raved about just how perfect it is as a sock yarn too! 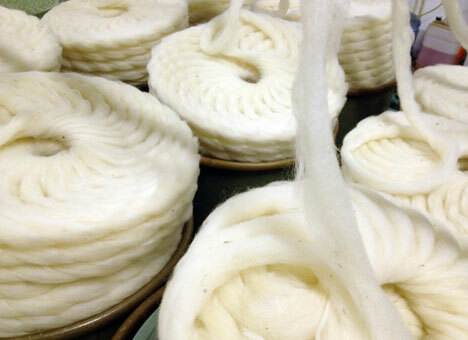 This beautiful yarn has an almost otherworldly gossamer beauty. I like all the projects so much, but Wheaten is moving into the number one spot! 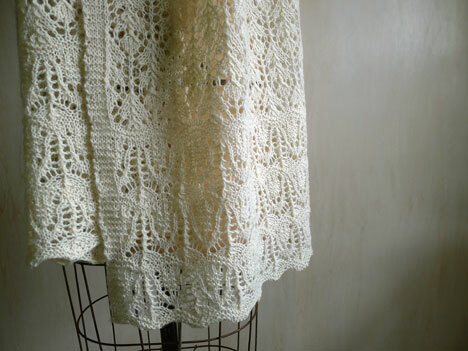 Love all the sample projects, this yarn just shows off the patterns perfectly! 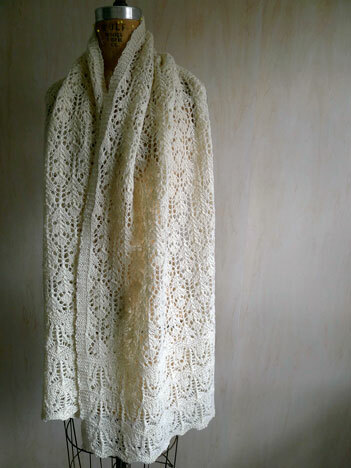 How did I miss the Cheviot Hills shawl last year???? It is so pretty and now in my queue. Just beautiful. flap and they do snap at you at times which is funny. be quite enjoyable, entertaining and, I must say, addicting.